When NET-A-PORTER asked me to share with you the details of their 24-hour-only Cyber Monday Sale (an additional 15% off on select sale items with code CYBER15) I had just seen the incredible Hilma af Klint exhibition at the Guggenheim. 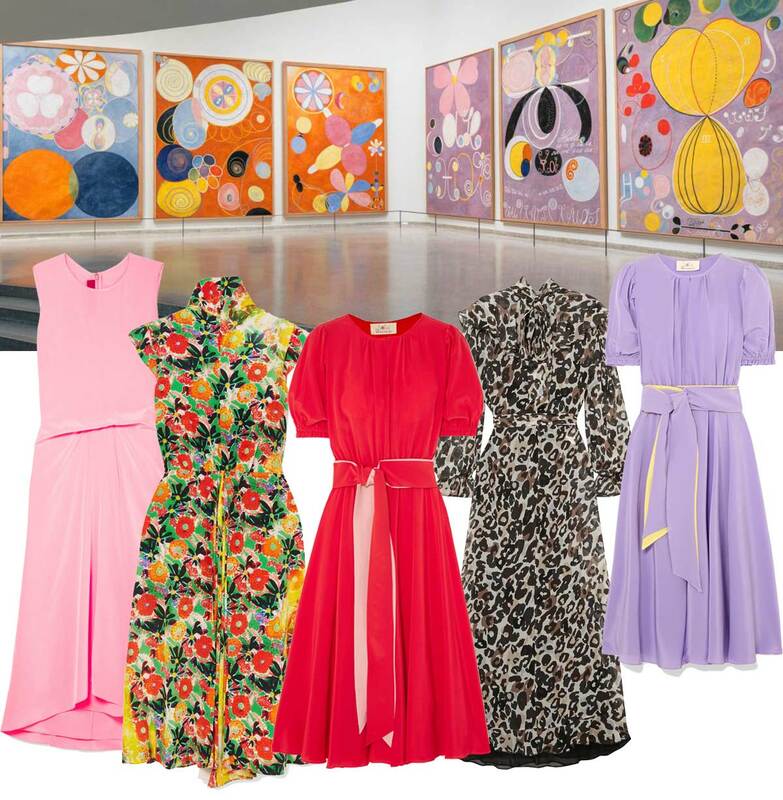 The Swedish artist’s palette is lovely and I kept thinking “color is a good idea.” So, when I was choosing product for this post, I was inspired by af Klint’s canvases and opted for pretty, colorful dresses — just one would add a long overdue pop to my wardrobe and the ARoss Girl x Soler in lavender is already in my basket. An additional 15% off on select sale items begins tonight at midnight and ends midnight November 26. Don’t forget to use the code CYBER15 at checkout. Dresses: Sies Marjan, Prada, ARoss Girl x Soler, Sonia Rykiel, ARoss Girl x Soler. Dresses are possibly my favorite article of clothing. I admire the ARoss Girl looks, but can’t wear them. The Prada animal print looks interesting. I spotted a similar cut animal print dress in a store window on Oak Street/Chicago earlier this fall. I didn’t try it but kept thinking about it and had it sent out once home. I absolutely love it, it goes from day to evening (with very low pumps + classic black Chanel bag). It’s so much fun to wear! I’ve been missing out! what a lovely idea! also, you could have gone in another color direction and been inspired by her altarpiece series – strong graphic primary colors. that was the most beautiful exhibit i’ve seen in years.